When you receive your blade it will be heavily coated in mineral oil (veterinarian grade which you can get at any feed store for about a fifth the price of the stuff you get at a hardware store, same stuff). 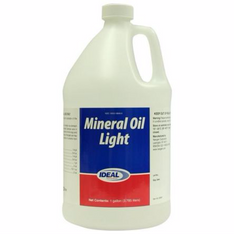 I use mineral oil for shipping because it has a relatively low viscosity (i.e. it's sticky), will not damage or discolor natural materials (i.e. wood and bone), and ensures the oil is not rubbed off in shipping and makes it to you rust free. For this same reason it is also a good field maintenance oil. Any oil however will work in a pinch. Before storing your blades always be sure your blade is dry, salt free (i.e. free of fingerprints) and well oiled. Never store your blade long term in its leather sheath. Leather holds moisture and even if well oiled may cause your blade to rust. My preferred oil for use at home and for storage is Choji oil. 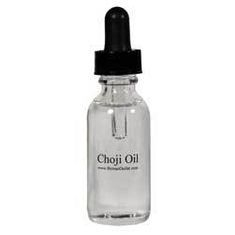 If you haven't heard of Choji oil it is remarkable stuff. It is the oil of choice of the traditional Japanese sword-smith and has a micro-structure so fine it penetrates the metal over time and actually makes the blade more rust resistant, unlike other oils that are purely topical. Yes it is fairly pricy but with Choji oil a little goes a long way. If you should ever have rust on your carbon steel blade there is no need to panic. Minor surface oxidation due to exposure to moisture can be buffed out with 0000 steel wool. While minor pitting may remain it has not compromised the structural integrity of your blade. The blade should then be cleaned with a solvent (acetone or the like), then a cleaner wax, and then oiled. If you are really concerned email me good pictures and I will advise on how best to proceed. All of my sheathes are hand dyed and hand stitched from veg tanned Oak Leaf Leather, which is then soaked overnight in you guessed it mineral oil. While it is never recommended to store your blades in leather (as leather can hold moisture) I personally leave mine in their sheaths and due to the mineral oil soak have never had any rust issues. Like quality leather shoes they will require maintenance (though very little). The finish of these sheathes will wear with time and use and take on an aged patina. I love this look and it's one of the things that makes hand dyed leather so appealing. Vat dyed and chrome tanned leather simply don't take on the patina of quality hand dyed leather. All you have to do to maintain your leather is hit it occasionally with a matching color shoe polish. This will bring back the luster and help keep the leather water resistant. If your leather should ever get soaked don't use a heat source to dry it. Let it dry on it's own at room temperature and then saturate with mineral oil. Your sheath should be structurally none the worse for wear, if a bit water stained. The majority of my handles are hardwoods. 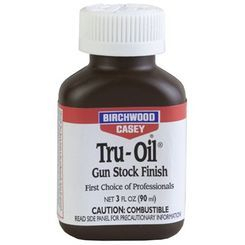 All of my wood handles (unless a customer specifically requests otherwise) are only treated with Birchwood Casey Tru-oil (gun stock finish). Which can be purchased at Midway, Natchez, and maybe your local gun store. I use Tru-oil oil instead of a wax finish because of it is penetrating and durable, grain deepening, and non-yellowing. For maintenance purposes I suggest just as on the blade that you occasionally wipe the handle down with mineral oil. * I am in no way affiliated with any of the companies linked to on the left. They are just for information purposes and/or where I get my stuff if not locally available.